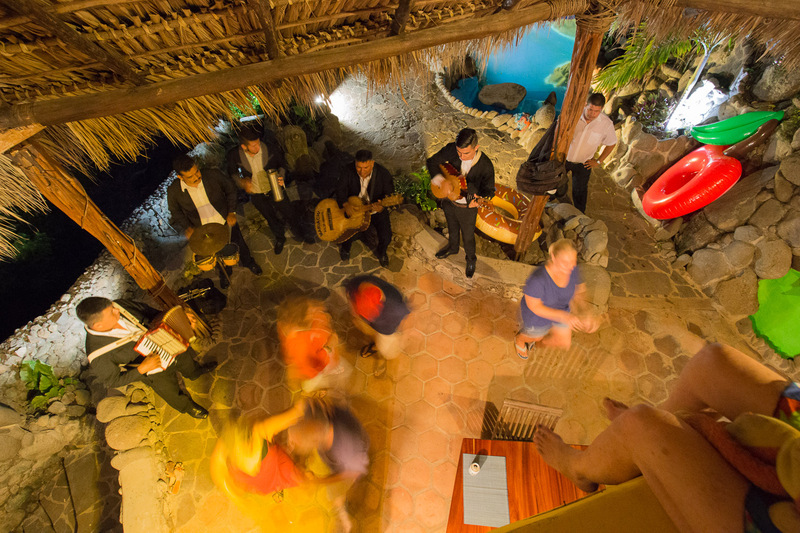 The full moon is a good excuse for a party. 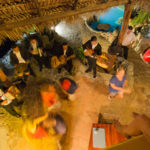 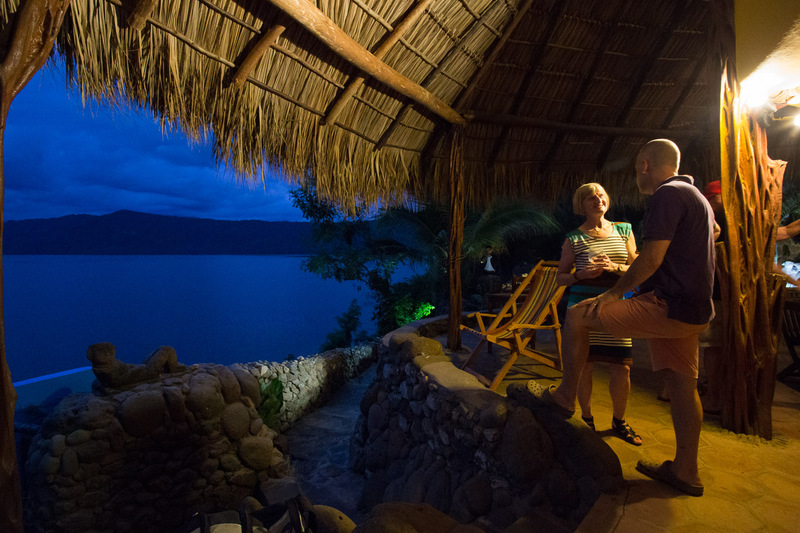 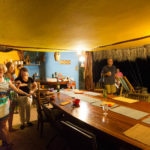 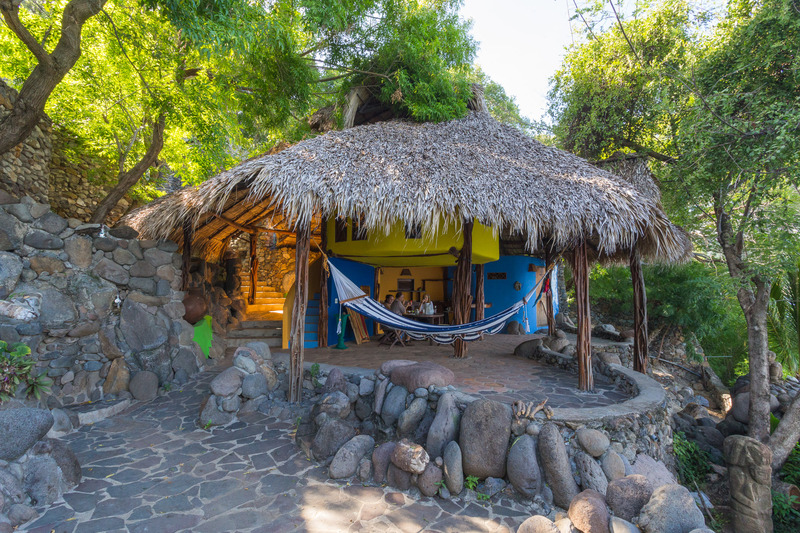 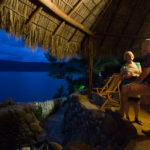 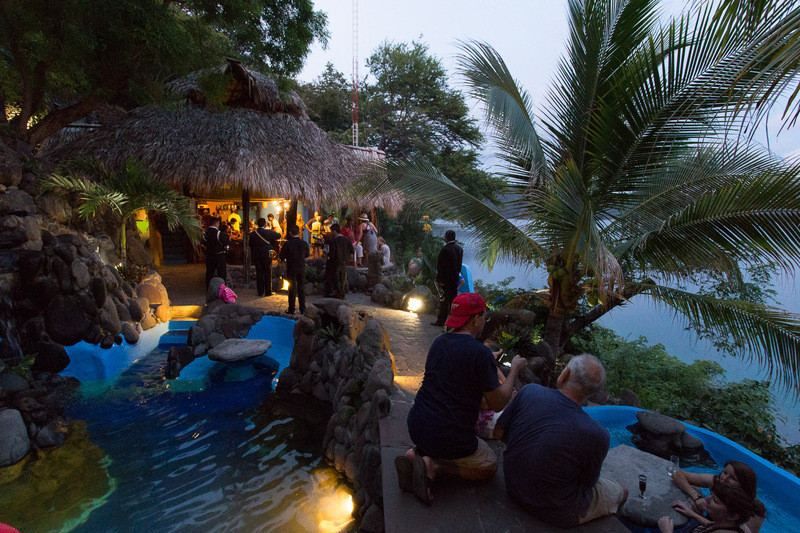 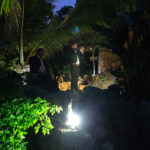 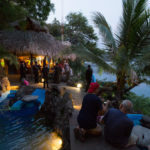 We threw a full moon party at Finca Malinche for about 30 friends and guests. 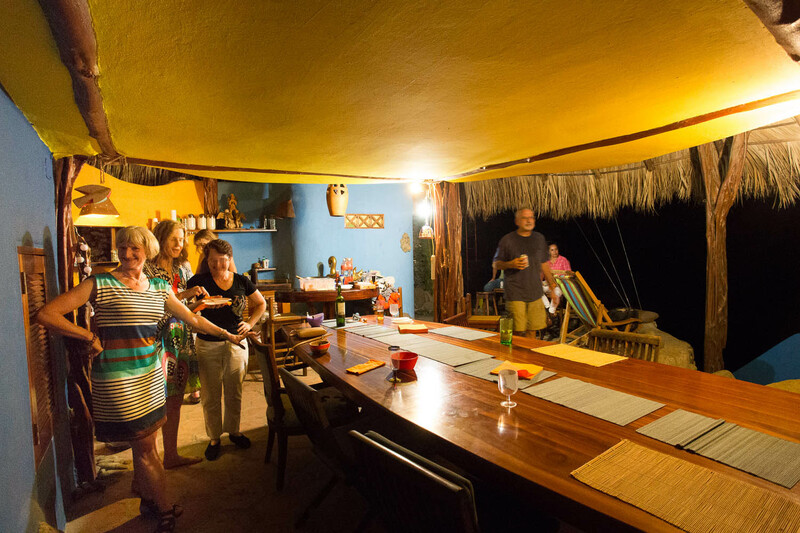 Idalia and Enrique barbecued up a storm with fish and steak and served a dizzying array of salads and grilled vegetables to compliment. 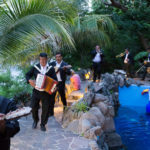 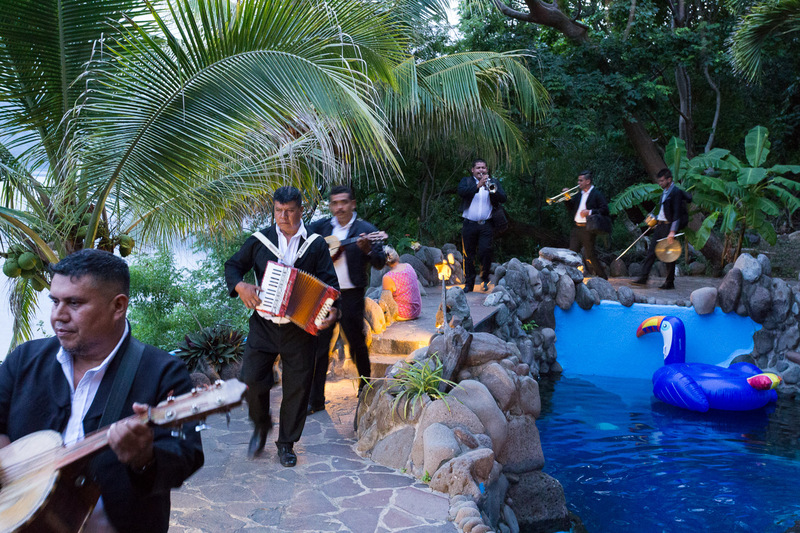 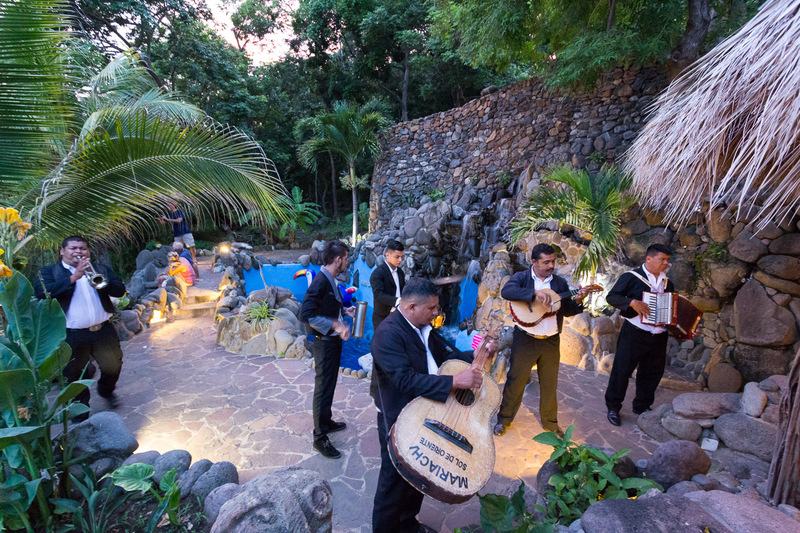 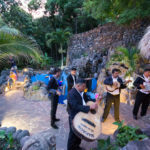 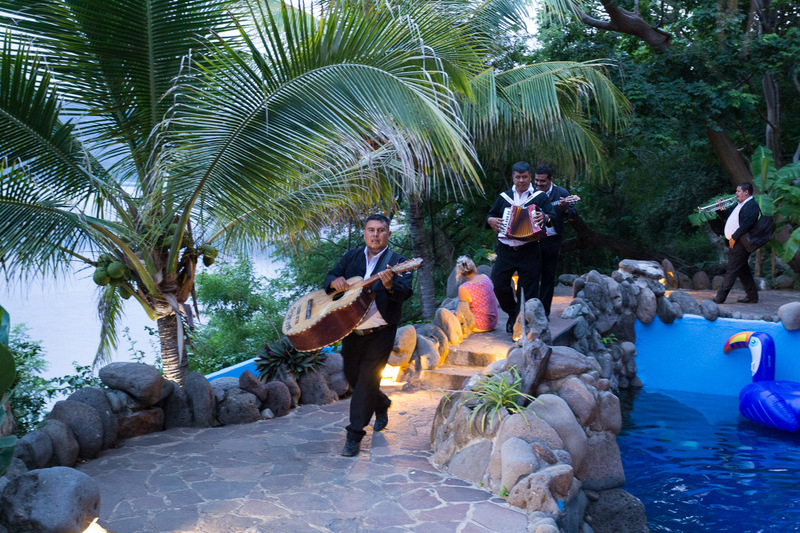 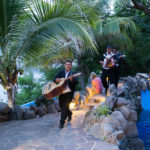 The eating, music, swimming and dancing was topped off by the surprise arrival of a mariachi band. 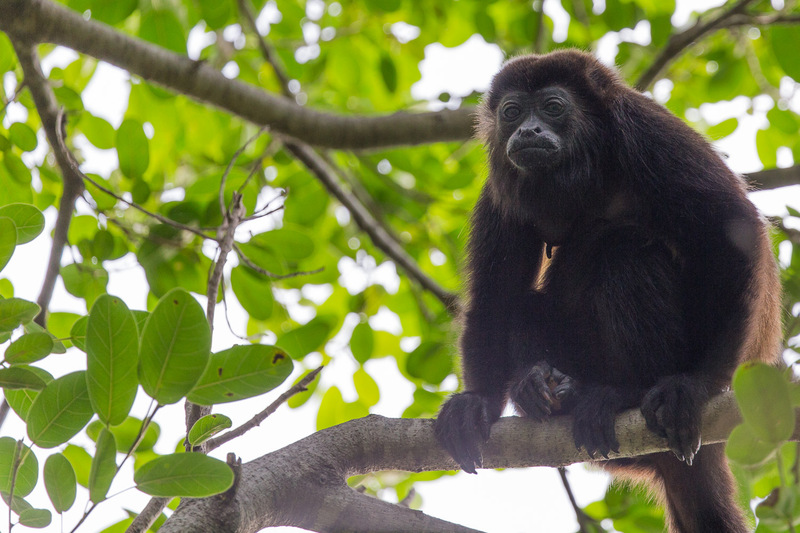 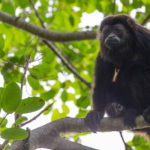 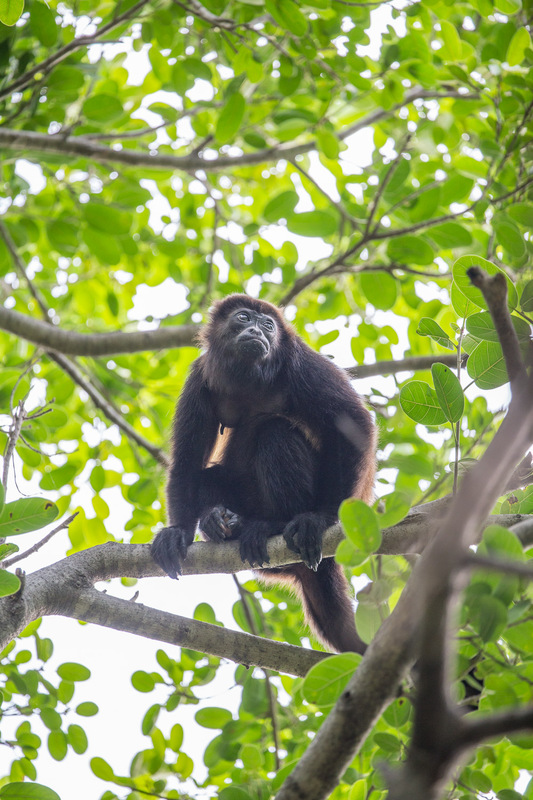 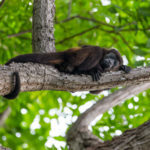 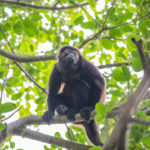 The Howler monkeys stop by most mornings and afternoons. 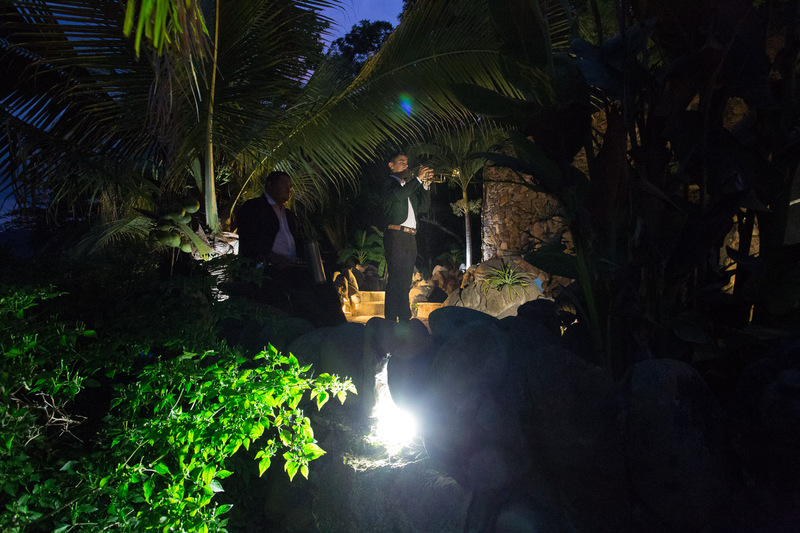 I am never sure who is observing who. 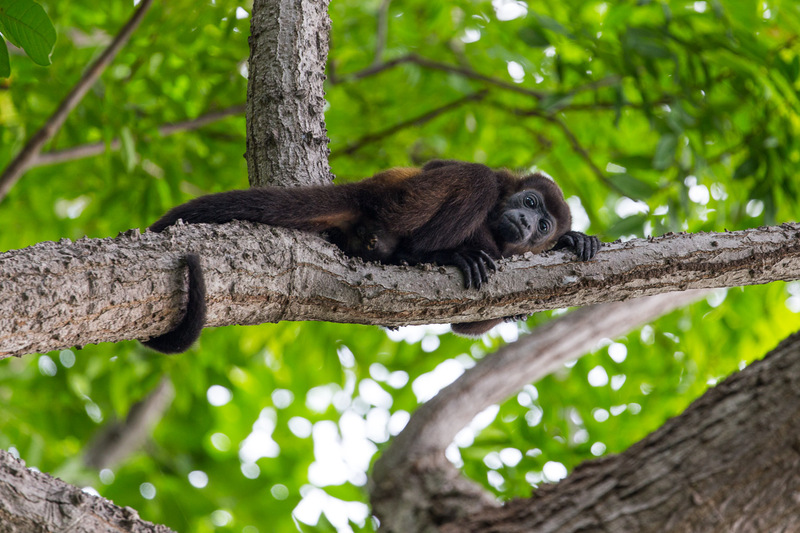 I always chat with them but they just look bored, or maybe they are considering my sanity. 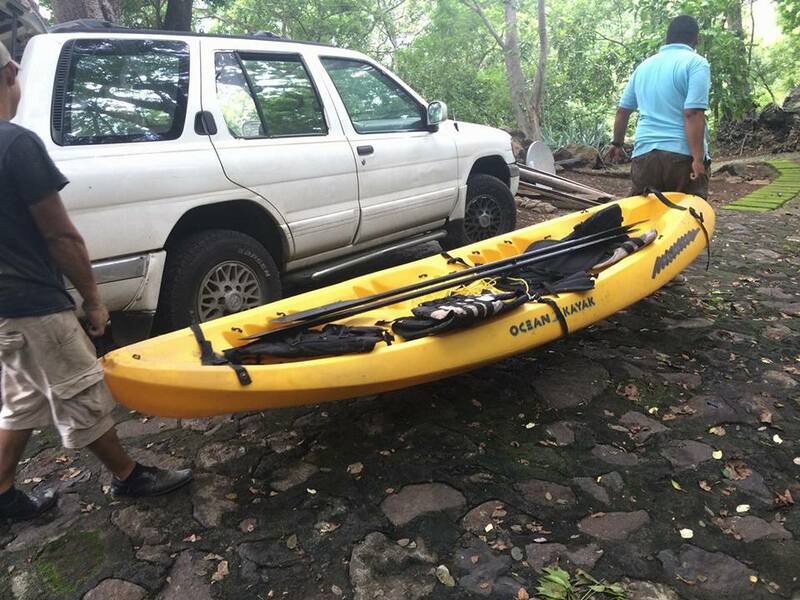 Another kayak for visitors to use to explore the Laguna de Apoyo has arrived. 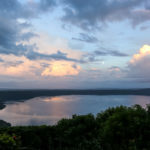 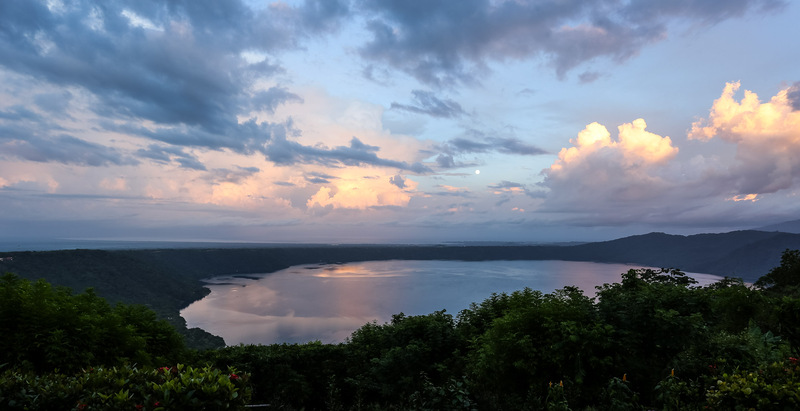 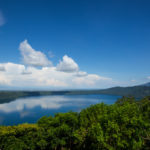 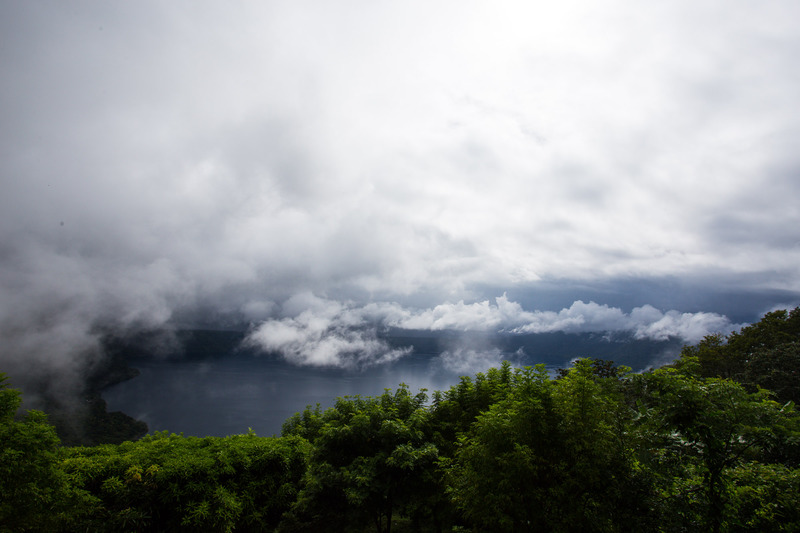 Here are a few photos of Laguna de Apoyo, showing its changing moods, taken from the crater rim directly above Finca Malinche. 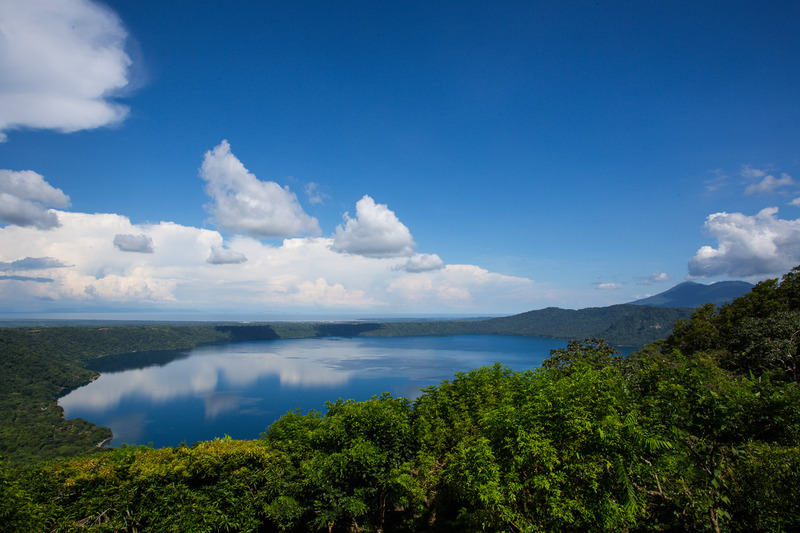 You can also see Mombacho volcano in the distance on the right. 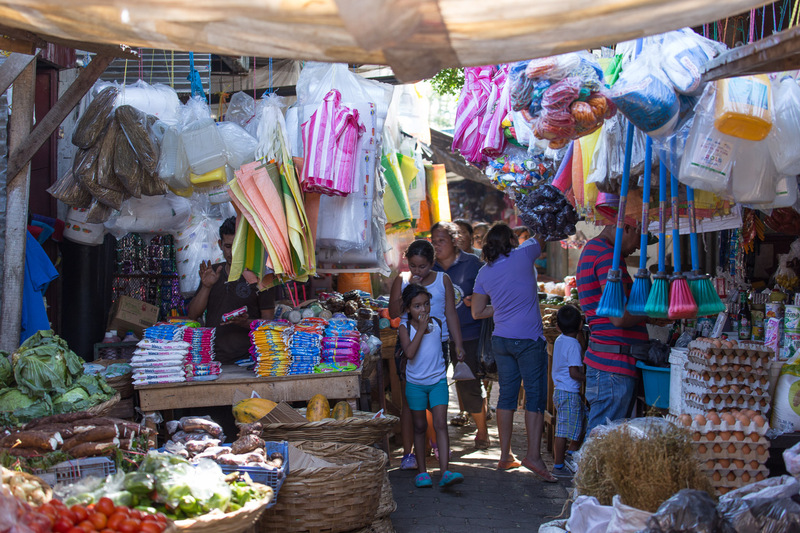 A fun day out at Masaya market. 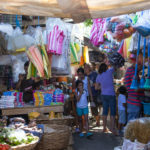 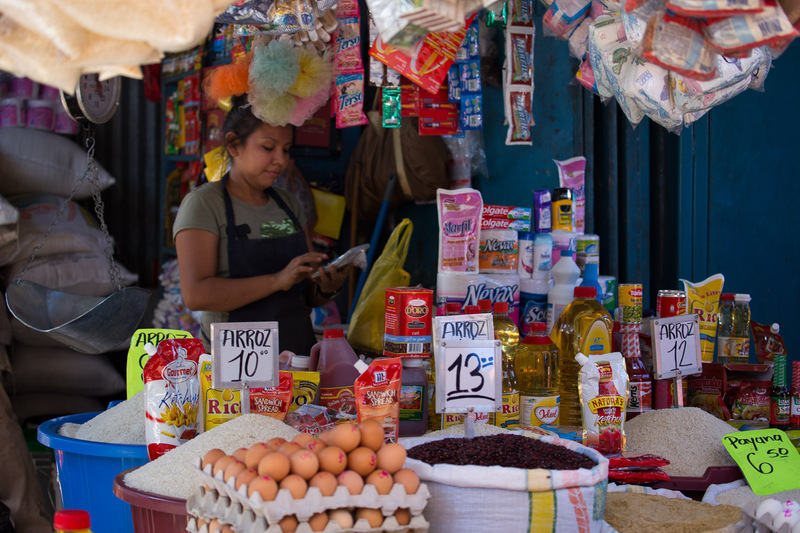 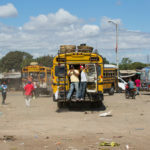 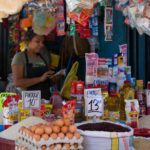 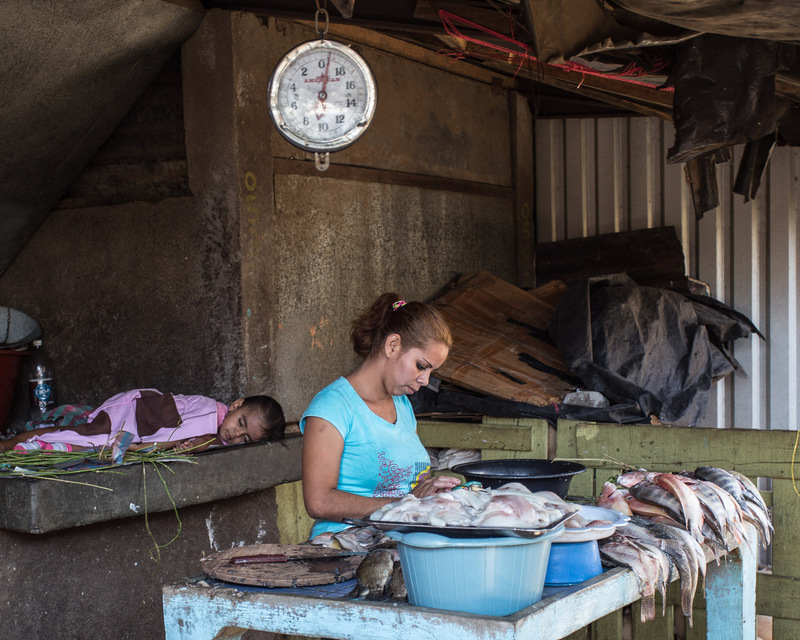 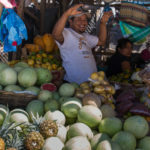 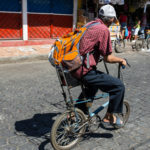 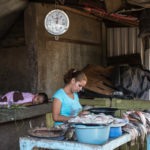 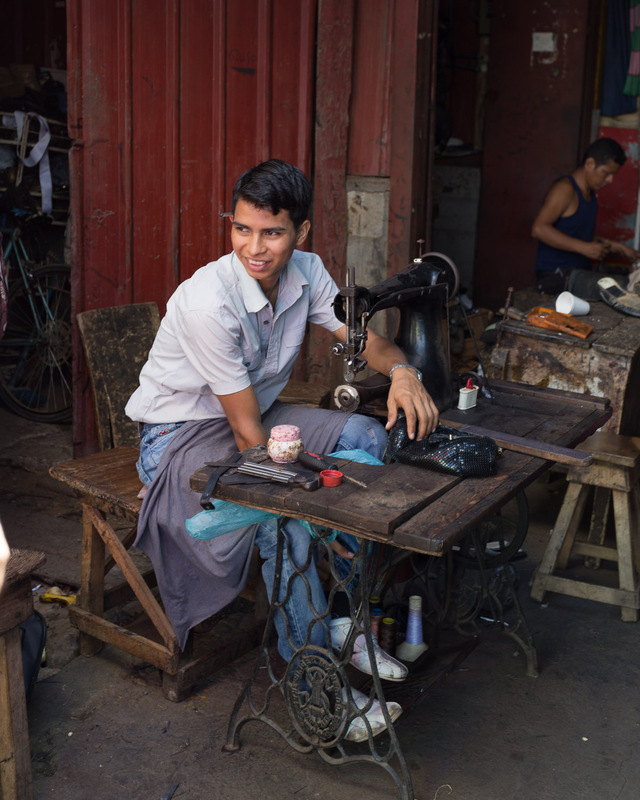 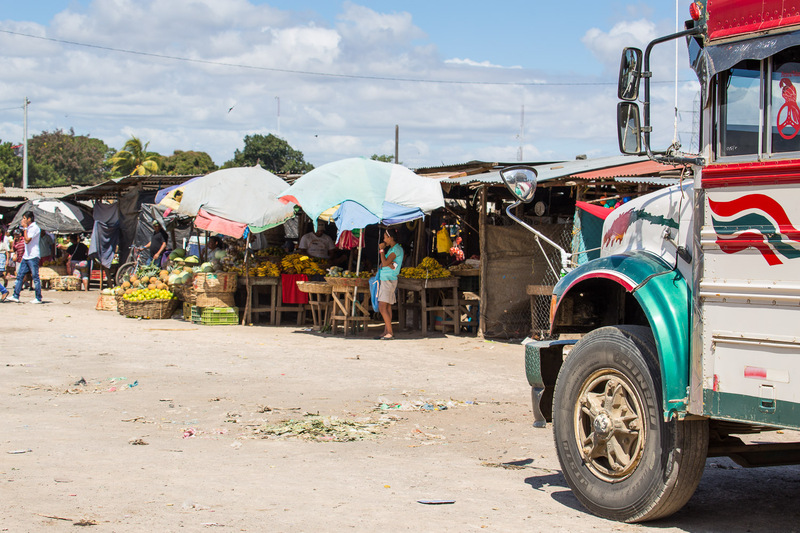 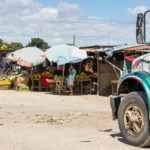 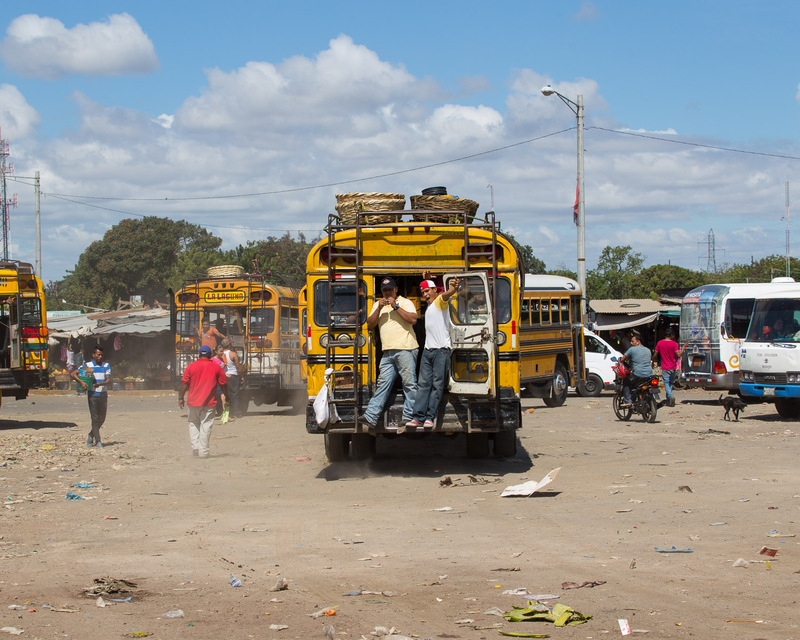 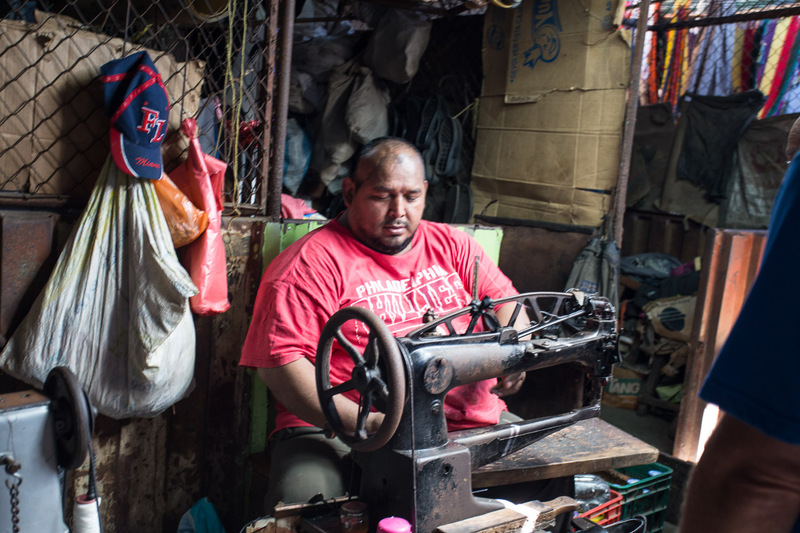 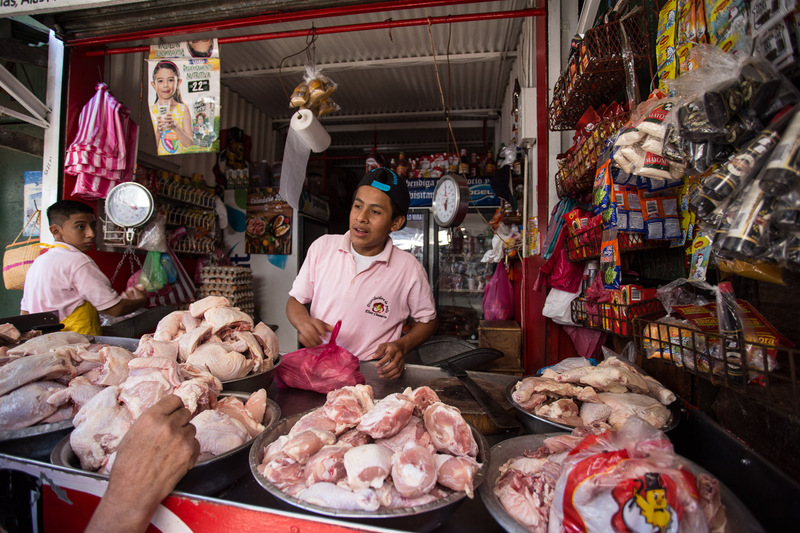 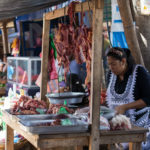 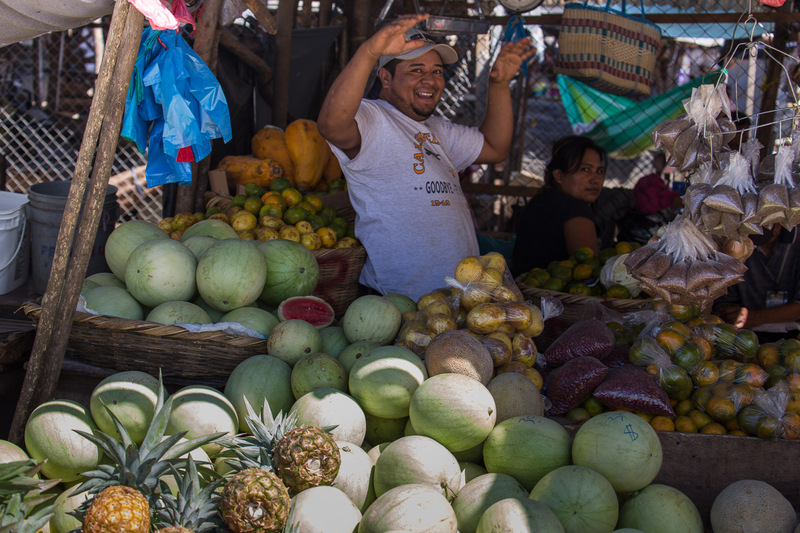 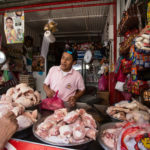 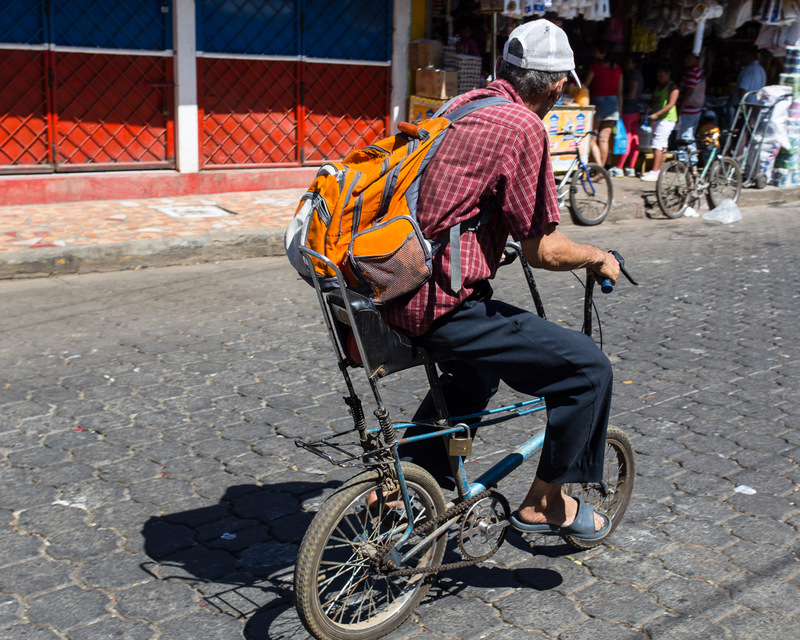 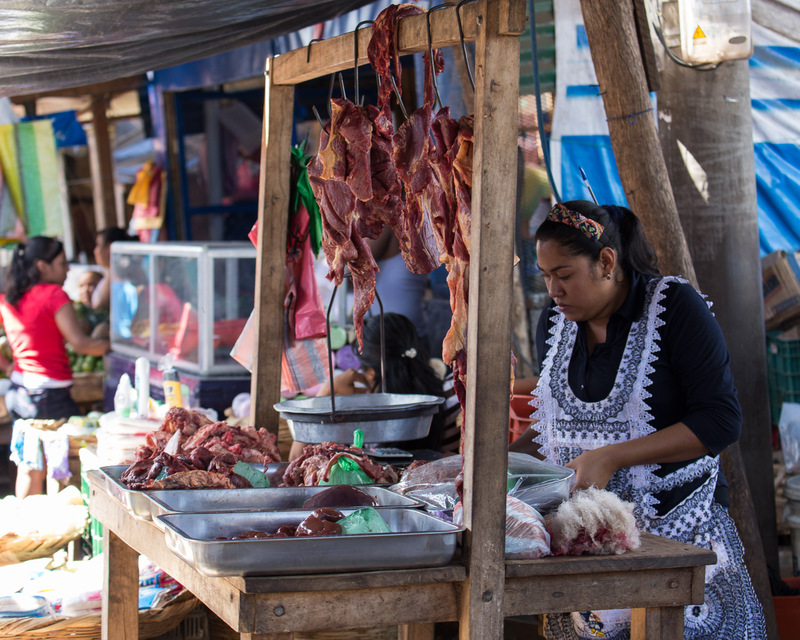 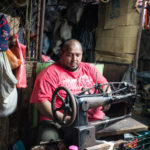 The market is a a short taxi ride from Finca Malinche or you can even catch the bus.